While Colombia’s place in the headlines in recent months has been dominated by the halting efforts towards a definitive end to their lengthy civil war, behind the scenes the country has been undergoing a quiet renaissance. Slowly but surely, its cities have been reclaiming a sense of national pride that seemed irretrievably lost to the narcotraficantes and paramilitaries just a few years ago. Central to this resurgence is the relative autonomy of Colombian cities – allowing for tailor-made, varied solutions to the city’s problems. In the first of a two-part series, we turn to the capital city of Bogotá, and how the personal visions and philosophies of its mayors have led to a very different, more inclusive city – a city whose official motto rightfully boasts is “better for all”. 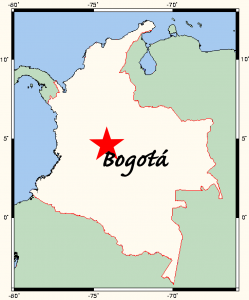 At 1,587 km², Bogotá is nearly 14 times bigger than Dublin. Photo by Dominic Chavez/World Bank. 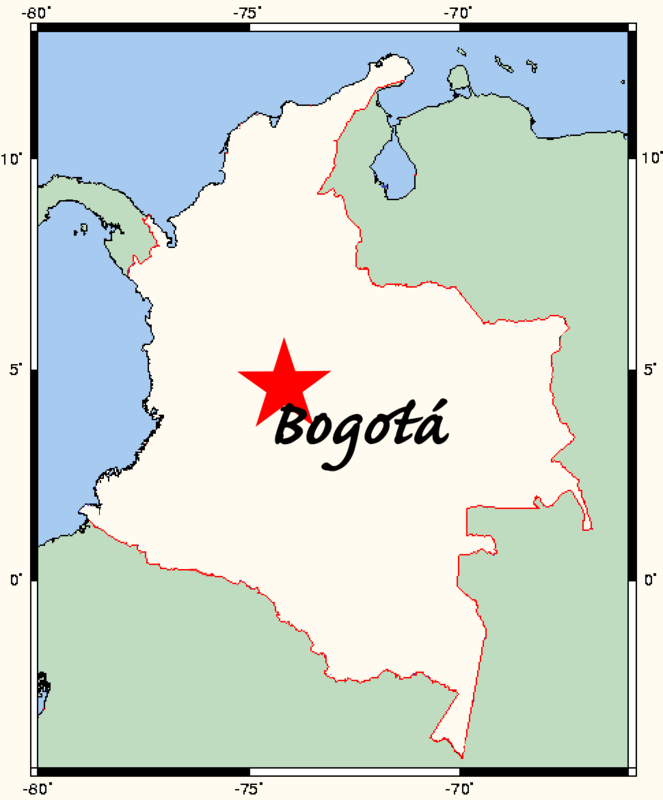 The biggest city in Colombia, and the fifth largest in Latin America, Bogotá’s population nearly doubles that of Ireland at around 8 million people. Yet unlike Ireland, its population density is extremely high – with up to 13,500 people crammed into each square kilometre. Simply gathering these figures raises a whole set of problems in and of itself, as there may be up to 4 million people living in informal settlements scattered throughout the capital. The result was a picture familiar to many big cities of the Global South – overcrowded slums, extreme violence, traffic chaos, and a huge inequality visible even in the layout of the city itself. 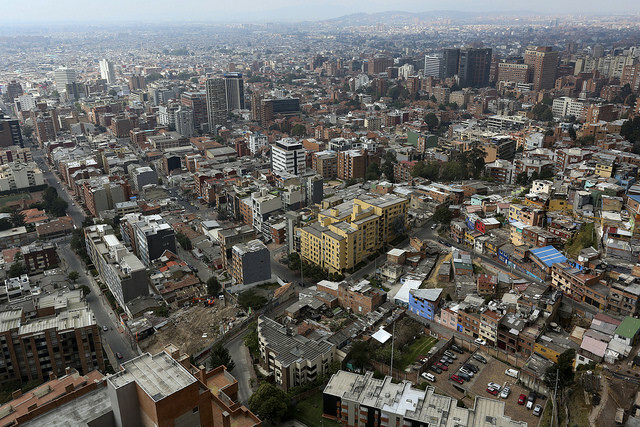 By the mid-1990s, these factors led to Bogotá being labelled “the worst city in the world”. That is, until a series of reformist mayors took control of the capital, and changed the face of the city forever. Understanding these individuals is key to understanding the rapid changes Bogotá underwent over the past two decades. Antanas Mockus was probably the first of such superstar mayors to make a radical impact on the city. A professor of philosophy and mathematics by profession, his behaviour was by no means typical. Sporting a distinctive chinstrap beard, he rose to national prominence by mooning an auditorium full of disruptive students in 1993. Though he was forced to resign from his post as president of the National University as a result, he became known as a symbol of honesty throughout Colombia – as someone who wasn’t afraid to bare all. This reputation served him well in his political campaigning, and his anti-establishment image resonated hugely with a populace that had grown weary of political stagnation and corruption. Antanas Mockus in 2012. Photo by Stephan Röhl. Winning the mayorship in a landslide in 1995, Mockus immediately began putting his eccentric and philosophical political doctrine into practice. Disguised as a spandex-clad “Super Citizen” he cleared streets of rubbish and graffiti to show off model civic behaviour; he distributed white and red cards to drivers so that they too could reward or punish bad behaviour on the roads; he replaced traffic police with 420 mimes, believing that ridicule was a more powerful tool than a fine. In fact, he even gave the notoriously corrupt traffic corps an ultimatum – retraining as traffic mimes, or dismissal. Out of 3,200 officers, 400 took him up on his offer. These policies were more than just window dressing, they were underlaid with Mockus’ personal urbanist philosophy. In his eyes, there was a disconnect between law, culture, and morality in Colombia. To him, these policies were a way to combat what he saw as a passive, permissive urban society in Bogotá, a society that turned a blind eye to crime and violence. His Super Citizen became a Zanahoria (carrot), a term his cabinet said referred to “a well-behaved, organised, and healthy person”, but which ordinary Colombians would be more likely to translate as “nerd”. Clubs and bars were forced to close at one in the morning, a policy which Mockus himself enforced by walking through the streets of Bogotá wearing an oversized clock, au ‘90s rapper Flavor Flav. A massive education campaign was launched to create what Mockus referred to as a “taboo” around violence. Police were re-trained, prisoners were encouraged to only commit non-violent crimes, children were supported in reporting abuse in their own homes, all in order to finally break the cycle of violence. 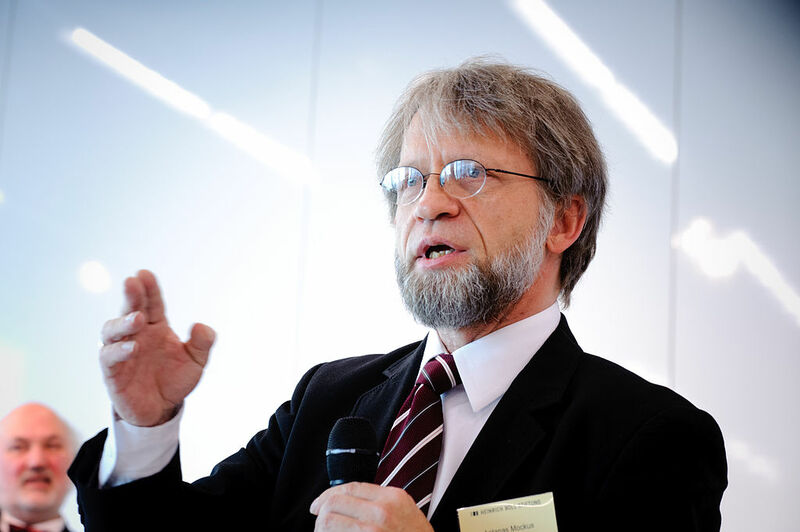 A consummate philosopher, Mockus instead encouraged “symbolic violence”, like mooning (of course), punching a doll, or throwing water, as he did himself to presidential hopeful Horacio Serpa on live TV. Whatever the reasons, his initiatives saw stunning successes. Rolling back bar closing times throughout the city saw an immediate drop-off in the numbers of people accessing A&E services – murders dropped from 38 victims over an average Friday and Saturday to 18, while traffic deaths fell from 16 to just 4. Over his three-year first term as mayor, the homicide rate plummeted by 70%, traffic deaths by 50%. 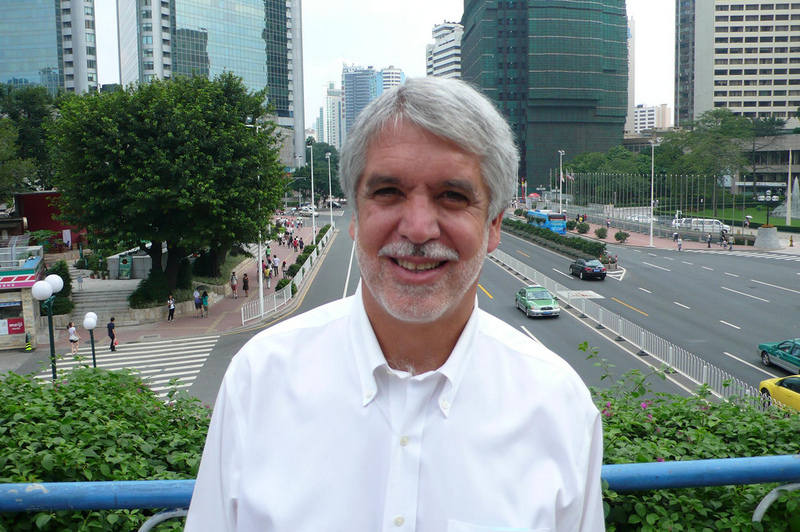 Enrique Peñalosa and the city he helped transform. Photo by Colin Hughes. Yet due to Colombian law, Mockus was not allowed to seek immediate re-election, and after a contentious election campaign, he was succeeded by the second of Bogotá’s celebrity mayors, Enrique Peñalosa. In fact, you may already be familiar with him; his TED talk on urban design in Bogotá has about a million views online. In many ways, Peñalosa really stole the show, gaining international recognition for his massive public works projects and his charismatic, if confused, mixture of socially-conscious market policies and megalomaniacal urbanism. Yet revolutionary urban design is in his blood. His father, also called Enrique, organised the United Nations’ first Habitat conference, “The Olympics of Urbanisation”, in 1976. Unlike Mockus however, who tackled Bogotá’s myriad of issues through philosophy, Peñalosa was a businessman, focussed on results and grand gestures. His personal philosophy of the city was based on democracy, on granting all citizens equal opportunity to thrive in the urban landscape. These principles have had a profound effect on Colombia’s capital, which changed hugely under Peñalosa. Mobility had long been his forté, and his measure of a truly advanced city “is not one where even the poor use cars, but rather one where even the rich use public transport”. In a truly democratic environment, a bus seating 150 people should have 150 times more road space than a car with only one passenger. In fact, he went so far as to suggest that a bus idling in traffic, surrounded by expensive cars, is almost as unjust as denying women the right to vote. 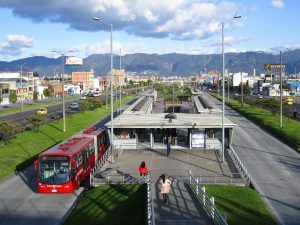 Peñalosa’s response was TransMilenio, a series of exclusive and priority roadways for busses that now carries more passengers per hour than any metro in Europe, with the same speed and capacity but at a fraction of the cost. And while buses may be his idea of the “future of transport”, Peñalosa was not afraid to diversify his portfolio. Before similar initiatives sprang up in London, New York, Paris and the other major metropolises of the world, Bogotá had already cultivated its own network of over 350km of protected bikeways. Through this initiative, Peñalosa hoped to show that a citizen on a $30 bicycle is “equally important to one in a $30,000 car”. Even the poorest areas of the city are now served by spacious. high-quality footpaths and cycle-ways. Massive and violent protests broke out across the city, centred on the demolished neighbourhoods, bringing Peñalosa to the brink of impeachment. Even his head of cabinet, Hector Riveros, later acknowledged that “there was no involvement or dialogue with the citizens”. Appearing on local news, the mayor seemed arrogant, arguing that he could not allow “a minority to obstruct the progress of 7 million citizens”. When the President called him at his home to demand an end to the strikes, Peñalosa remained defiant – “In Colombia the mayor has a lot of autonomy, and doesn’t have to follow the orders of the president”. Yet while his methods were certainly questionable, the results were undeniable. Bogotá underwent a drastic transformed, with new libraries, schools, and parks now dotting the landscape of the capital. Most importantly, the downward trend in homicides continued throughout his administration, as the nightmare of violence faded from the city. But Peñalosa was set on changing Bogotá for good, not just for his tenure as mayor. He broke ground on projects that would not see completion for years and bought swathes of land outside the current city limits for future development. With Mockus trying his hand at re-election, he had found a like-minded ally, one he could be confident of keeping up the pace of change. Mockus, a staunchly anti-establishment politician, built his first political alliance, went on to win his second term as mayor, and ensured that Bogotá’s redevelopment would continue. Bogotá today is Colombia’s cosmopolitan heart. Photo by Boris G.
Although there have been a few bumps in the road, on the whole, Colombia’s capital has gone from strength to strength. Buoyed by the resilience and innovation of its people, and a continuing string of progressive mayors, Bogotá has become the driver of Colombia’s reinvention. Peñalosa has even had the chance to witness the fruits of his labour – he is currently serving his (equally controversial) second term as mayor. And while both of these extraordinary individuals have faced their fair share of well-earned controversy, Bogotá today is a far cry from its days as the worst city in the world, due in no small part to the indelible mark they left upon their city. While inequality, slums, and violence still exist, Colombia’s capital is becoming increasingly recognised not for its poverty or crime, but for its culture, cuisine, and history. 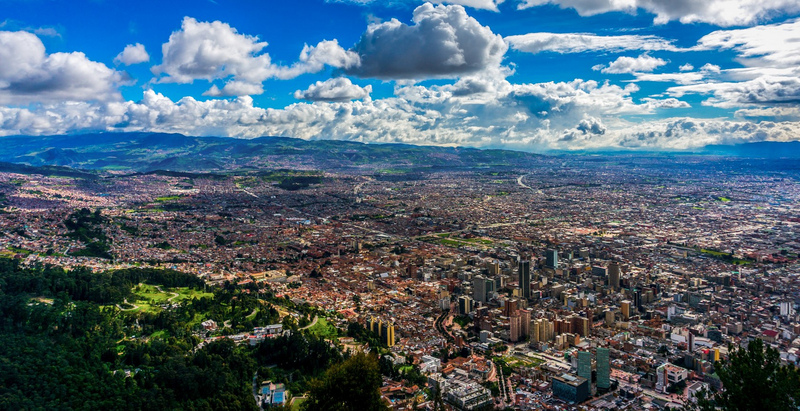 In fact, consider this a nomination – Bogotá: the trendiest city in the world. If Bogotá had a bad reputation in the past, that’s nothing compared to Medellín, Colombia’s second city and birthplace of Pablo Escobar’s Medellín Cartel. Next month we’ll conclude our series on Colombian cities with the intriguing story of how this towering figure in Colombian history brought the city to its knees, but also drove its reinvention.